October 10th is World Mental Health Day. On this day, we bring attention to the need for awareness, prevention and treatment of mental illness around the globe. February is Heart Month, September is Arthritis Month, and November is Diabetes Month. One day for mental illness? What about Mood Disorders Month? I unofficially declare it Mood Disorders Month! Why? Because mood disorders affect such a huge percentage of our population, they deserve attention. Mood disorders include depression and bipolar disorder, and if you do not suffer from this or know someone that does, then someone isn’t talking about it! People with mood disorders experience the same highs and lows that we all do, but with greater intensity and for longer periods of time. The Centre for Addiction and Mental Health (CAMH) does a great job of explaining depression and bipolar disorder. Symptoms of depression include “feelings of hopelessness, changes in eating patterns, disturbed sleep, constant tiredness, an inability to have fun, and thoughts of death or suicide”. Seasonal affective disorder (SAD), post-partum depression and dysthymia (chronically low moods not as severe as depression) fall under the umbrella of depression. Symptoms of bipolar disorder, sometimes referred to as manic depression, include “periods of depression and periods of feeling unusually high or elated. The highs get out of hand, and the manic person can behave in a reckless manner, sometimes to the point of financial ruin or getting in trouble with the law”. Different organizations are working very hard on public awareness and education initiatives to address issues of physical health. We thankfully know so much more about diabetes, heart disease, arthritis, cancer, and so on. 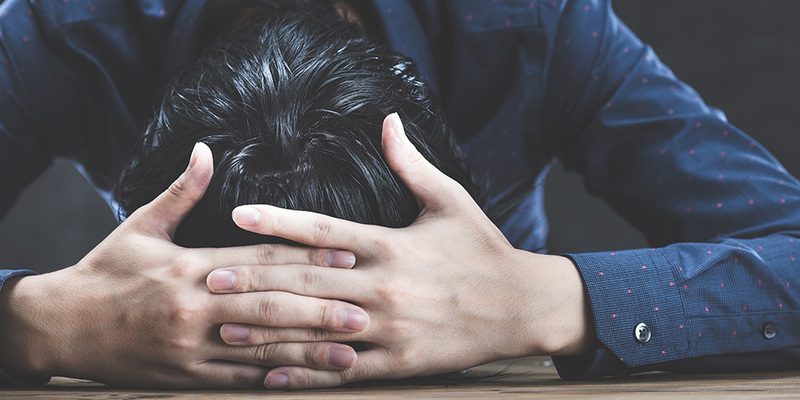 There are organizations that do the same for mental health, but their audience is less receptive to hearing about it – shame, embarrassment, and a general lack of interest are barriers that they are facing. It’s time to break through and name what we are dealing with and watching our family and friends suffer from. DEPRESSION! BIPOLAR DISORDER! SEASONAL AFFECTIVE DISORDER! There – that wasn’t so hard. So, we’ve said it. Now what? The next step is treatment and there are options, even in this rural community. Mood disorders have been compared to the flu that does not go away. If that was happening to you, you would eventually get fed up and do something about it. The trick is not trying to manage mood disorders alone. The trouble with mood disorders is that the symptoms of it can be one of the barriers to seeking help. Taking that first step toward positive change generally includes seeing your family doctor or nurse practitioner, who can help you coordinate your treatment. Medications are fairly standard in the treatment and management of a mood disorder. There are both pharmaceutical and natural options that you can consider. Counselling is widely known as an effective intervention and most people who are receiving counselling will experience positive change. Getting the support of your family and friends is also helpful. It is so much easier to deal with troubles when you surround yourself with people who care. The impact that a mood disorder can have on a person can be immobilizing and debilitating. Seeking treatment is crucial in changing that. Finding hope that it can get better will help to overcome the barriers that get in the way of seeking help and support. Remember that a mood disorder is a part of you and not all of you. Changing your thinking around it may help to shift you from a person who suffers with depression or bipolar disorder into a person who is living with it. So, in honour of the unofficially newly acclaimed Mood Disorders Month, I welcome you to the first steps toward a happier and healthier life!